The card above summarizes many areas of my life. 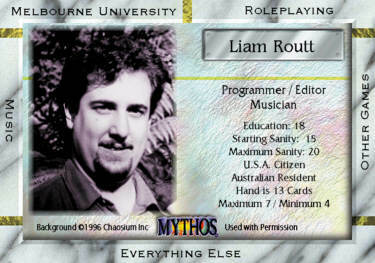 Feel free to browse through the various aspects of my work (at Melbourne University and with Roleplaying games), my recreations (both music and other games), my other interests, and my self & family. Information about the creation of this web site can be found here.